Fuse.tv (owned by Madison Square Garden Group in New York City) came to us in November 2011 with the goal of growing their organic search engine rankings. Because they are in the music & video industry, much of their 8000 plus visitors a day come from referral or social networks. 8000 may seem like a lot of traffic everyday. However, they were after 35 page views per user. That’s huge in any niche. We were brought in for our expertise doing industrial-strength keyword research. The music industry is filled with searches related to artist names. Our approach was to pinpoint highly-searched keywords (think 30,000+ exact searches per month) to implement in their organic ranking platform. Thereafter, we implemented text and video standards for Google compliancy along with proper canonical url paths. Here’s a small taste of some of keywords below. If you’re wondering about their rankings, sorry. Due to this particular client confidentiality agreement we cannot disclose them. But as with all things online, they had two big, fat problems. Pitiful organic search traffic and low page visits per user. They came to us in 2011. Primarily to help them increase their daily traffic volume. When we begin partnering together they were in the 2000+/- trend per day. You can see I’ve tiled their GA screenshot below in reverse. 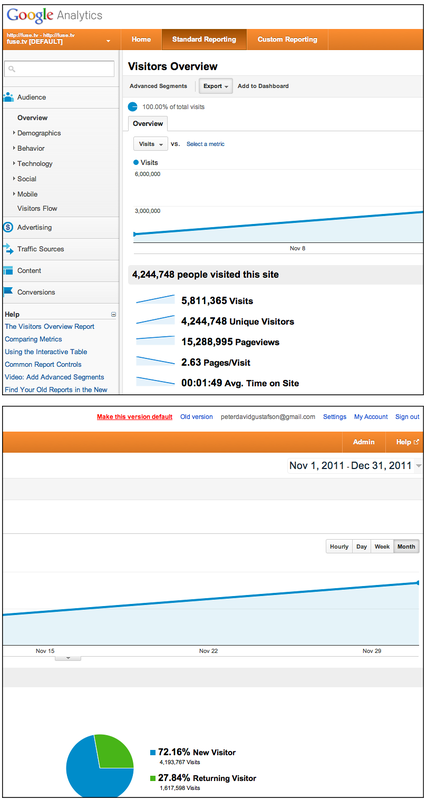 Meaning the top image displays their traffic in September 2011. The second tracks their traffic through November. Don’t let these numbers fool you. Increasing the average page visits per unique visitor was the secondary goal of this project after improving their organic ranks. Meaning they were shooting for 3 average page visits per unique visitor. This client job is a perfect example how just getting the traffic is only part of the problem. What you do with it is the icing on the cake. Ouch. About 200 hours was spent on keyword research and site content. Honestly, much of their SEO opportunity was in finding target keywords we could rank them for on Google. Because music is their niche, we began plastering their site content with video. Lots of it. 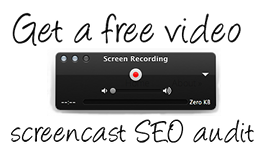 In case you’re out in left field, the more optimized video (think YouTube) you have embedded on your site the better Google will see your content as relevant.